No special Discount code at the moment. Use link on this website and get the best possible price when buying your X Theme for WordPress. Since its initial release 15 years ago, WordPress has grown to become the world’s leading content management system, with over 75 million websites running on the platform. As WordPress grew in popularity, an ecosystem of themes and plugins grew around it. Today, with thousands of WordPress themes to choose from, picking the right theme for website is no small task. However, some themes have managed to build a reputation for themselves as themes you can never go wrong with. 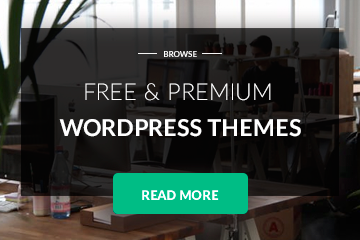 One of these themes is X Theme, one of the bestselling WordPress themes on Themeforest. Today, we take an in-depth look at X theme to find out why it is loved by so many WordPress users. This is our X Theme Review. X Theme is an elegant, fast and user friendly WordPress theme developed by ThemeCo, a WordPress theme design agency based in the United States. X Theme is a multipurpose theme that was built to help users build all kinds of websites – blogs, small and medium business sites, ecommerce sites, hobbyist sites, photography sites, restaurant sites, you name it. Basically, the theme provides a flexible and feature rich solution that can be used to power any kind of website. Soon after the release of its first version, X Theme rose to become the most popular new product on Themeforest. Currently in its sixth version, the theme has been purchased over 192,000 times, with a 4.75 rating. It has severally ranked as Themeforest’s top selling WordPress theme of the week and the month. X Theme comes with over 30 prebuilt website designs which are meant to showcase what users can achieve with the theme. However, the demos do more than showcasing the possibilities. They also give you a head start when it comes to building your own website. If you find a demo you like, you can import it to your own website to achieve the same look on your website. When you import a demo to your website, it comes complete with all the pages, layouts and content. You can then customize the pages, layout, content, colors and fonts to suit your business. Demos save you the time and hustle of having to build your own website from scratch. This is one of the features I love most about X Theme and which should me a part of our X Theme Review. You can think of stacks as unique layouts that you can use as the basis of your website. Normally, many themes come with skins that allow you to change the appearance of your website without any major change in design. However, stacks are totally unique designs with a unique layout and page structure. Integrity: This is a multi-purpose stack that can be used for all kinds of websites. It has a clean and bold design that gives your site an elegant feel. Integrity offers you a choice between a light and dark color scheme. This stack also allows you to edit the blog header or turn it off, change transparency settings and switch between two basic portfolio options. This stack can be used to build blogs, business websites, ecommerce sites, portfolios, and so on. Renew: This stack has a more creative look, built on the principles of flat design that are increasingly becoming popular. This stack is also versatile enough to be used on multiple types of websites. Renew gives allows you to change elements like link colors, background colors, icon colors and the blog title. Icon: This is a minimalistic stack that is designed with blog post formats in mind. The designs on this stack are more look modern and edgy, making your blog stand out over average blog templates. With this stack, you have control over background and text colors as well as the capability to toggle post icons on and off. Ethos: This stack is designed for online magazine layouts, with support for carousels and post sliders. With ethos, you can customize background colors, remove categories from your blog index, define padding for navbar links, and so on. This is another great feature that was introduced with the launch of version three of X Theme. Extensions are elements that are used to extend the functionality of X Theme. You can think of them as plugins that are specifically designed to be used within X Theme. Many of them were built by ThemeCo, though some of them are third-party plugins. While you might not need to use all of these extensions, it is good to know they are available in case you need them. 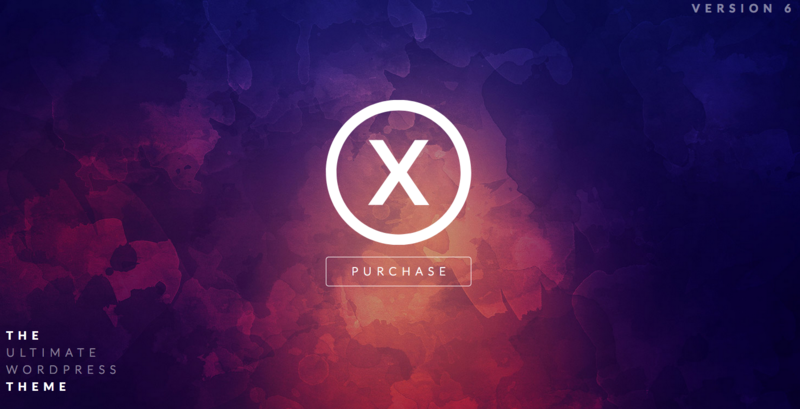 Once you purchase X Theme, you will continue to receive free updates for these extensions for life. X Theme also comes with its own impressive front-end WordPress page builder known as Cornerstone. Whereas many themes use page builders that work in the back end, Cornerstone works in the front-end, which means that it allows you to work on your website in a What-You-See-Is-What-You-Get (WYSIWYG) environment. Cornerstone was built by ThemeCo and was designed to ensure seamless integration with X Theme. X Theme goes a step further with their page builder options. Most WordPress themes will give you a choice between exclusively using a third party page builder or a native page builder. X Theme, on the other hand, gives you the best of both worlds. If you don’t like the native Cornerstone page builder, you have the option of using the Visual Composer extension, which comes bundled with the theme. Users that are well versed with Visual Composer will greatly appreciate this feature. Shortcodes are a very useful feature in WordPress themes. They allow you to easily add design elements to your website using short snippets of code, instead of having to add more plugins that will end up slowing down your site. X Theme offers support for shortcodes and comes with 40+ shortcodes that you can choose from. Some of the elements you can add using these shortcodes include icons, buttons, columns, pricing tables, animated counting numbers, growth bars, and so on. Something else you will love about X Theme’s approach to shortcodes is that the shortcodes are contained within a plugin. This means that you can still use them in case you ever need to change you theme, without the risk of messing up your site. In addition to the extensions and third party plugins that come bundled with a purchase of X Theme, the theme is also compatible with many popular third party plugins that you might need to use on your site. This is very important because plugins have a big impact on what you can achieve with your website. For instance, if you want to sell items on your site, it would make no sense buying a premium theme that does not support ecommerce plugins. Some of the popular plugins supported by X Theme include WooCommerce, Gravity Forms, Contact Form 7, BuddyPress, and bbPress. X Theme is also compatible with the WordPress Multilingual Plugin, which allows you to offer your site in multiple languages. The theme also offers native support for languages that read from left to right. Comes with PSD files, giving developers the option of customizing the theme further. All files and documentation: This allows you to download a zip file containing the theme and its extensions, licensing information and documentation about the theme. Installable WordPress files only: With this option, you, you only download the theme in a zip file that you can upload directly to WordPress. With this option, you do not have to unpack the files before installation. In this article, I’m going to use the second option. Once you have downloaded the Installable WordPress files, log in to your WordPress dashboard. Navigate to ‘Appearance’, click on ‘Themes’ and then click on ‘Add New’. Click on ‘Upload’ and navigate to the downloads folder on your computer and select the theme file you just downloaded. Click on ‘Install Now’ and wait for the theme to install. Once the wizard completes the installation, you will be notified that the theme has been installed successfully. Click on ‘Activate’ to make the theme active on your site. At this point, X Theme will ask you to validate your copy of the theme. Validating gives you access to all the plugins and extensions that come with the theme. You can use the theme without validation, but you will have no access to the extensions and plugins. Setting up X Theme is also quite easy. Once you have installed, activated and validated the theme, the next thing you need to do is to choose a Theme Stack that is best suited for the kind of website you need. After choosing your preferred stack, you can access the predefined stack options through the customizer menu. Through the customizer, you can change and customize various aspects and elements of your website, such as the typography, colors and layouts. You can also change the placement of the website navigation and add a logo to your website. All these customizations can be made easily with just a few clicks. When buying a premium theme, you want to make sure that it comes with good documentation and support in case you get stuck. The X Theme license gives you access to a huge knowledge base consisting of articles and videos about the theme, as well as a forum where you can talk with and get help from other X Theme users. 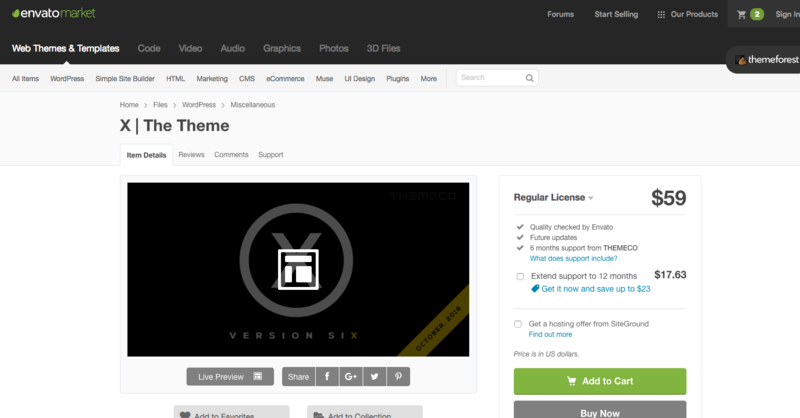 ThemeCo also provides 6 months premium support for X Theme users through Themeforest. You only need to post your question on the X Theme page on Themeforest and ThemeCo’s support staff will help you resolve your issue. You also have the option of extending the support to 12 months for an extra $17.63. Rounding our X Theme review up it is very simple – With its great set of features, it is no wonder that X Theme has emerged to be one of the best and the most popular themes on Themeforest. It is a complete theme solution that offers users great flexibility, regardless of the kind of website you want to build. At the same time, it remains user friendly and gives you a lot of control over the look and feel of your website. While the learning curve might be a bit steep, it comes with a lot of documentation – both instructional articles and videos – which lessen the amount of time needed to become conversant with the theme. ThemeCo also offers excellent support to users. Considering that all this comes at the great price of $59, you can now see why it beats some of the more expensive themes in the market.